China might be thought of as a kingly dragon hanging on a huge imperial necklace, the Great Wall, the spectacular landmark which winds 5500 miles across the country from east to west. The mighty Yangtze and Yellow Rivers nourishing the vast land outline the exquisite royal patterns. The Forbidden City, Terracotta Warriors and many other famous sites are the shining decorative pearls. 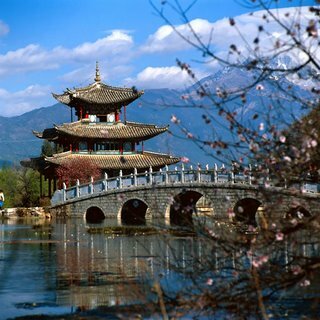 China has a large number of wonderful tour destinations including delicate water towns, imposing imperial palaces, splendid national cultural heritage and colourful folk custom. The waning residential Beijing Hutongs have transformed into pedestrian streets with trendy shops and bars. Shanghai has become a worldwide metropolis in the last fifty years during last century. Xian should is the shining pearl on the Yellow River along which the ancient Chinese culture originated. The astonishing Terracotta Warriors and Horses of Emperor Qin Shihuang were excavated in this city and the famous Silk Road started here via brilliant Dunhuang to Europe thousands of years ago. The People’s Republic of China was established on October 1, 1949, with Beijing as its capital city. With well over 1.3 billion citizens, China is the world's most populous country and the world’s fourth-largest country in terms of territory. Although political power remains centralized in the Chinese Communist Party, China is undergoing profound economic and social changes. China is proud of her many people, long history, resplendent culture and distinctive customs. Among her greatest gifts to the world are the 'four great inventions' (paper, gunpowder, printing and the compass). Chinese arts and crafts, including painting, calligraphy, operas, embroidery and silk are distinctive and unique. Martial arts, which have only recently begun to enjoy popularity in other parts of the world have been part of Chinese culture for centuries, and Chinese literature testifies to the country's rich heritage. And, of course, there is Chinese cuisine, which has been exported to every corner of the globe. With relatively harsh winters and seasonal sandstorms, Beijing is similar to several other northeastern Chinese cities. Much about this metropolis is unique, however – it is China’s centre of political power, intellectual activity, international trade, and foreign relations. It has been the heart and soul of politics and society throughout its long history. Beijing today at first looks similar to many other modern cities. The skyline is filled with tall blocks of apartments and offices. Multi-lane roads carry a wide range of vehicles, many of them manufactured by joint-venture companies in China. Much of old Beijing has gone forever, but much remains. Beijing is a vibrant, fast-developing, modern city, but it still has its own individual character.